California is known for its wine. In Sonoma and Napa Valley alone, there are over 500 different vintners. And while names like Charles Krug and Robert Mondavi may set oenophiles’ hearts (and plates) a-flutter, there is one name that is known to more people than all the other combined. 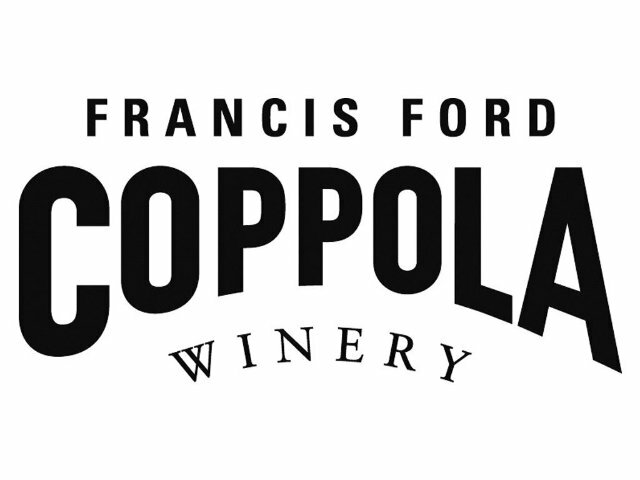 While he may be best known for directing award-winning films like “Apocalypse Now” and the “Godfather” series, Francis Ford Coppola (www.FrancisCoppolaWinery.com) was a winemaker before he was a filmmaker. Growing up in Brooklyn in a traditional Italian family, Coppola was crushing grapes with his “Nonni” (grandfather) soon after he could stand. So while he may be best known for his cinematic triumphs, he is no slouch when it comes to wine either. In both Sonoma and Napa, his name is legend and his wineries are sites to see (and taste). The titular Sonoma winery boasts not only state-of-the-art customized production and bottling lines for Coppola’s signature “diamond series” of wines (among a large list of other varietals and wine lines), but also a veritable museum of treasures from his other pursuits. In addition to Don Corleone’s desk and one of Coppola’s pristine pair of Tucker Torpedoes (which are sadly two of only 51 ever made) are some of Coppola’s world-leading collection of zoetrope strips (after which his production company is named) and other collections of favorite things. As you approach the winery and drive through the gate bearing the maestro’s name and logo, you can almost hear the strains of “Speak Softly, Love” as your eye travels across the expansive acreage of vines and up towards the main chateau which, in addition to the memorabilia and wine also offers a public fountain-fed pool with full-time lifeguard and rentable cabines, a performance stage (modeled after that in “Godfather II”) on which area musicians often play, authentic Italian bocce courts, and a rare bistro that serves Francis’ favorite foods to go along with his fabulous wines. Across the way in Napa is the historic Inglenook winery that was purchased and revived by Coppola in 1975 after corporate raiders almost destroyed it. In every inch of land and construction, Coppola’s director’s eye for detail is evident- from the hand-buffed tongue-and-groove staircase made from repurposed woods from one of his family retreats in South America to the perfectly preserved wine libraries (the largest private collections of their kind) that dates back to the 1800s. Coppola cares so much for the land and the wine, in fact, that he lives on the property and can often be found wandering the cask caves and sharing his best bottles with guests on the verdant veranda. Founded by a Finnish family, the agricultural preserve that is Inglenook (which means “Warm place by the hearth” in Scottish) is one of the oldest and most storied wineries in all of Napa. As the home of one of Wine Spectator’s “Top 100 Wines of the Century,” it is also one of the few wines to be served at the White House and one of only a handful to survive and thrive after Prohibition. Unfortunately, a bit of mishandling and proposed condominium development almost doomed the vineyards before the director stepped in to save them. Having recently been given permission to resume operations under the original name, Coppola is looking forward to restoring it to its former glory as well. Today, though only about 250 of the 1,600 total acres are “under vine,” Coppola and his talented team make the best of every single shoot. With an annual production of about 23,000 cases, Inglenook is back and may even be better than ever! No more jug wine- Inglenook is once again famous for its quality and taste, both of which are trademarks of the new owner. While there may be fewer of Coppola’s own films on display here, he still proudly presents his collection of the antique projectors that first inspired him to put down the grapes and pick up the camera. Now that he is doing both, his dual expertise can truly be appreciated. So if you happen to be meandering through California and are in the mood for a great glass of wine in a gorgeous setting that is relaxed and yet full of ”action”, drop by the Coppola pools or the oldest tasting room on the West Coast for a glass of the new taste of Inglenook. You never know who may be sitting next to you!